Check out some of our amazing vehicles! 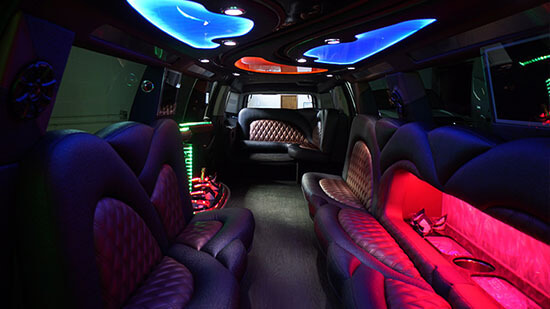 You can trust Party Bus Sacramento to provide exemplary service. When you're out and about bar hopping or celebrating in the great city of Sacramento, it's safe to say that it's easy to take notice all of the charm and wonder that comes with this metropolitan area of California. There are so many great destinations to check out in the area and many of them will absolutely blow your mind. We just know that you are not going to want to miss venues like the Crocker Art Museum, Old Sacramento State Historic Park, McKinley Park and the Leland Stanford Mansion State Historic Park to name a few. We love being able to provide transportation services to the residents of Sacramento and all of the cities beyond, and that's because this is a beautiful place to live, work, and play. It doesn't matter what types of events you generally enjoy, or even where you come from, you're certain to be able to find the right way to relax and enjoy the city, especially when you're using professional transportation to do so. When it comes time to rent a vehicle for your night of fun, whether that is a special event, spontaneous get together, or professional outing, you'll find that there's only one company in the area who offers everything you'll need to completely enjoy your night. We'll be more than happy to be along for the ride here at Party Bus Sacramento! All too often, good people rent from less than satisfactory companies and end up paying the price for it. However, you can rest easy knowing that your transportation in Sacramento is something that you can depend on when it's rented with us. We have a team of dedicated professionals who work day in and day out to ensure your ride is one to remember! From our booking agents who are on the phones around the clock, the certified mechanics who ensure everything is in working order, and the professional chauffeurs who show up ready to provide impressive transportation, we've certainly got you covered. 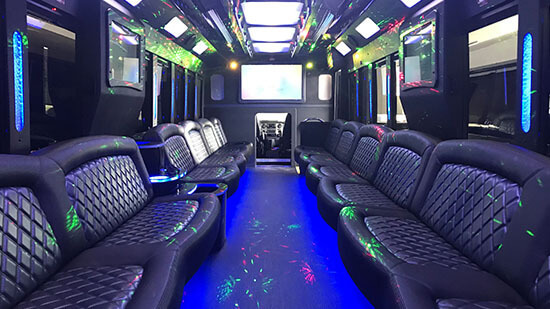 Be sure to check out our varied fleet of limousines and party buses, and think about which would be best for your next event. 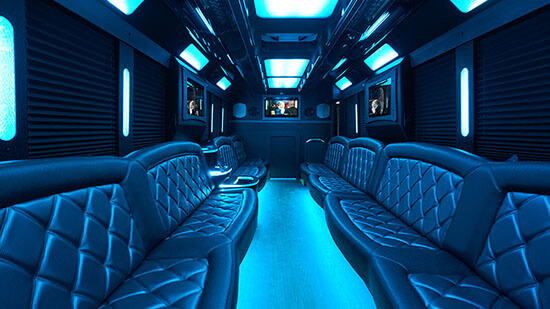 We've worked hard to bring you a jaw dropping collection of high quality, entertainment based transportation, as well as other options for those who are planning a special event. As always, we keep our vehicles spotless and updated with modern technology so that your ride is as entertaining as possible. All you have to do is give us a call for more information about our services, and we'll take it from there. Remember, no matter the event, if it involves transporting a group of passengers from point A to point B, we can make it special! You will be happy to know that you are in the perfect starting point to learn about what we do and what we offer. We highly recommend that you peruse our entire site paying special attention to our fleet page where you will see our unbelieveable vehicles and what they offer. Have a notepad and pen with you as you do so that when any questions come up you will be able to jot them down for future reference. When you feel you are ready, contact our customer service office. Our friendly and knowledgeable customer service representatives are available 24/7, 365 days a year for your convenience. And one thing that we will promise you is that you will never be pressured into making any kind of decision. If all you want to do is talk and have your questions answered, then that is all you will receive. It is our goal to inform our customers or potential customers with as much information as wel possibly can. We have nothing to hide. We look forward to receiving your call and setting up your party bus adventure in Sacramento. We have some spectacular features! Sacramento Limousine is proud to flaunt off our party bus and limousine features! We always ensure that our vehicles are the best around and as such, here are some of the fabulous features you can enjoy today! We are very proud that we can do more than claim that we are the very best luxury entertainment transportation solution in the industry. We have made it a reality and it will not take you long to realize it for yourself when you ride with us. For us, our business all begins with the finest fleet you have ever seen or experienced. We taken these top of the line vehicles and we have some of the most phenomenal features and amenities installed on them. We also take our customers safety very seriously. Our company has certified mechanics on staff who regularly inspect and maintain our entire fleet. This means that our customers will never have to worry about being stranded or not making it to their destinations. Many people ask us about our interiors. You won't have to worry when you see what our professional detailers can do. Between uses, our detailers clean every inch of our interiors to the point where everything is absolutely pristine. And of course, our vehicles need drivers and we can honestly say that our certified drivers are amazing in their customer service as well as their knowledge of the area roads. Now you can see why we are the best. Don't miss this opportunity to have the time of your life. It's easy to use our services. Our transportation is available for all events!